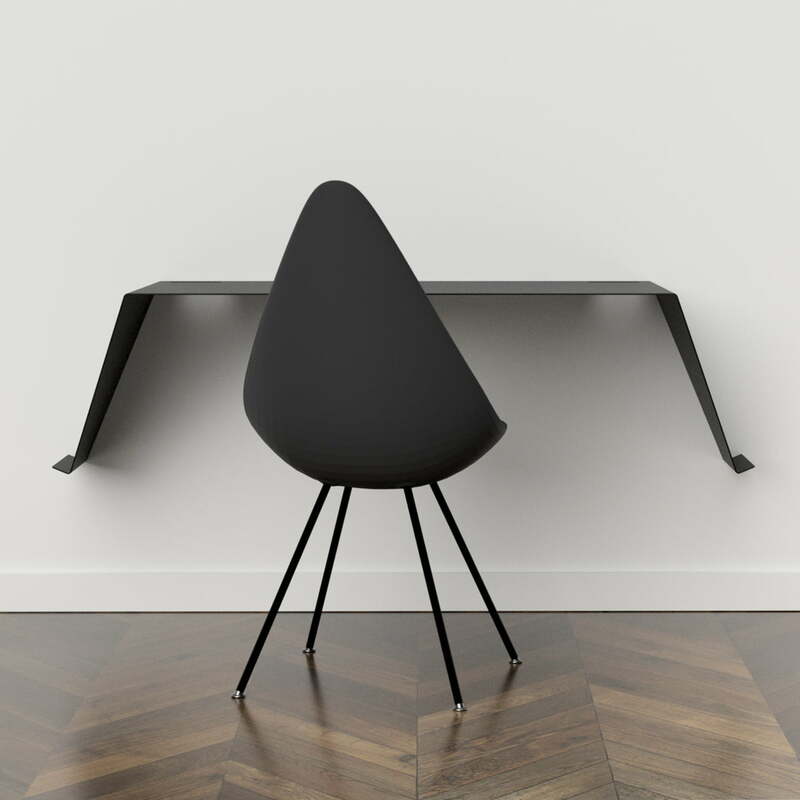 The Desk01 by Nichba Design is a simple and minimalist desk that fits particularly well into modern offices and work rooms. 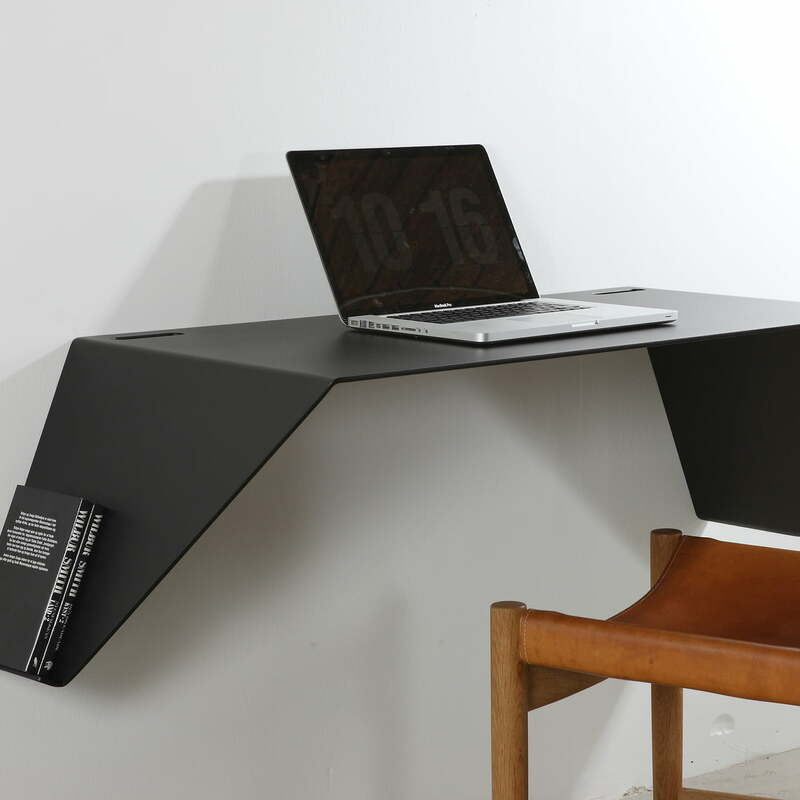 Since it is fixed on the wall, it does not take as much space as a conventional work desk. 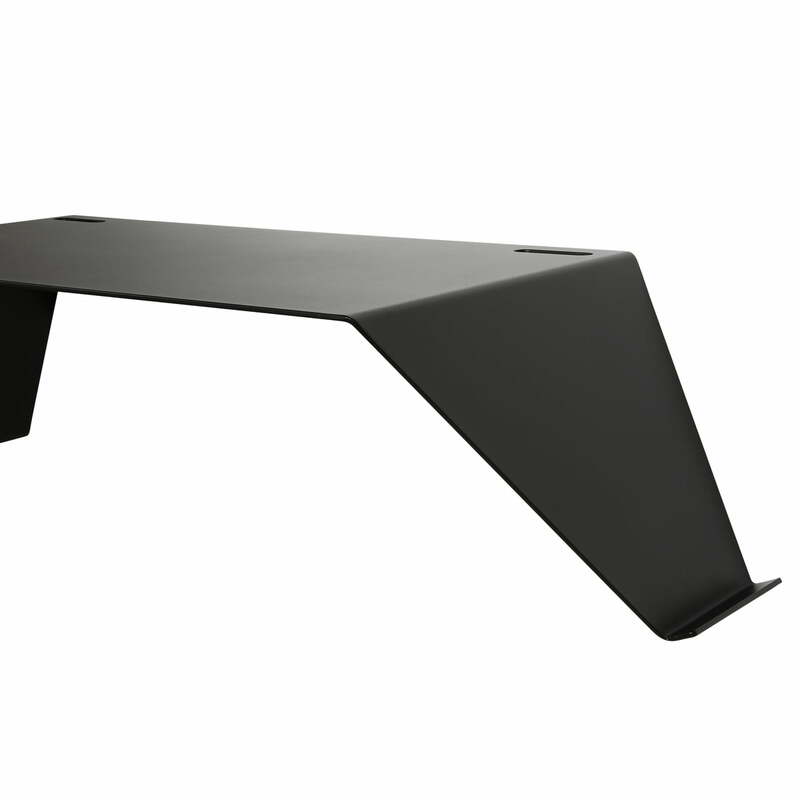 An additional benefit: Another advantage: thanks to the flexible mounting, the desk can be fixed at different heights, so that it can be used by both children and adults. 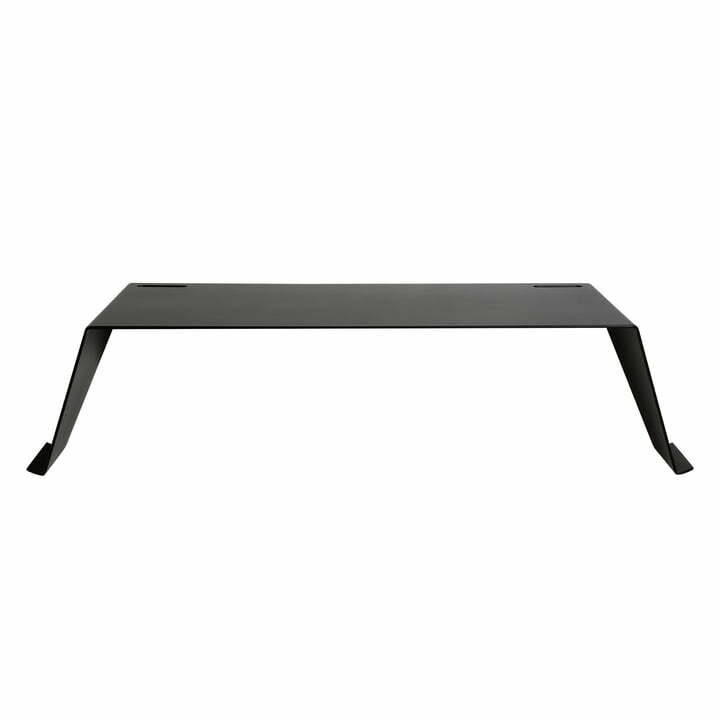 It can also serve for storage or as a wall shelf. 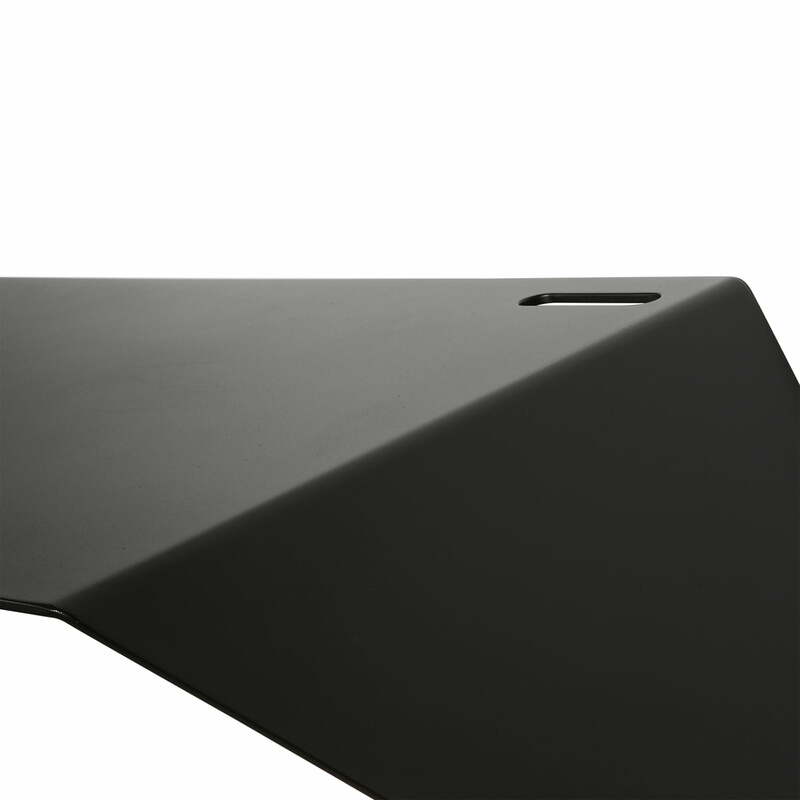 The floating desk is made from powder-coated aluminium. Newspapers, books and magazines can be placed in the holders on either side and cable are subtly guiding down through the special openings at the rear end of the shelf.